I understand that the Activity involves risks of serious bodily injury, including permanent disability, paralysis, and death, which may be caused by my actions or inactions, those of others participating in the Activity, the conditions in which the Activity takes place, the negligence of the "Released Parties" named below, or other causes. I further understand that there may be other risks either not known to me or not readily foreseeable at this time. I fully accept and assume all such risks and all responsibility for losses, cost and damages that may result from the Activity. I assume all risks and hazards incidental to the Activity and to transportation to and from the Activity. I understand the nature of the Activity, and I represent that I am qualified, in good health, and in proper physical condition to participate in the Activity. Should I ever believe that any of the above representations have become untrue, or if I should ever believe that the Activity is not safe or is no longer safe, then it will be my responsibility immediately to discontinue my participation in the Activity. I hereby release, acquit, covenant not to sue, and forever discharge Ground Zero Gymnastics, L.L.C., its owners, officers, administrators, employees, agents, volunteers, sponsors, advertisers, coaches and supervisors, and the owners or lessors of any facilities within which the Activity is conducted, their respective agents and employees, and all other persons providing facilities or assisting in the conduct of the Activity and in the transportation of participants to and from the Activity (collectively the "Released Parties") of and from any and all actions, causes of action, claims, demands, liability, losses or damages of whatever name or nature, including but not limited to those arising from or in any way related to the negligence of any of the Released Parties, that arise out of or are connected in any way to my participation in the Activity and the transportation of the above named individual to and from the Activity (collectively the "Released Claims"). I agree that participants involved in Ground Zero Gymnastics, L.L.C. programs/activities may be photographed and such photographs may be used to publicize the Ground Zero Gymnastics, L.L.C programs/activities. Permission is hereby granted for Ground Zero Gymnastics, L.L.C representatives to take and use: photographs and/or digital images of the participants for use in news releases and/or promotional materials. These materials might include printed or electronic publications, websites, or other electronic communications. I further agree that the participants' names and identity may be revealed in descriptive text or commentary in connection with the image(s). I authorized the use of these images without compensation to me. All negatives, prints, digital reproductions shall be the property of Ground Zero Gymnastics, L.L.C. representatives. In addition, I acknowledge that photographs may be taken by other persons not employed by Ground Zero Gymnastics, L.L.C, and those photographs/digital images may appear on social media sites, i.e. Facebook, etc, and Ground Zero Gymnastics, L.L.C has no control or responsibility over those images. I will defend, indemnify and hold harmless the Released Parties from (that is, to reimburse and be responsible for) any loss or damage, including but not limited to costs and reasonable attorney's fees (including the cost of any claim I might make or that might be made on my behalf that is released in this document), arising out of or connected in any way with any of the Released Claims. I authorize Ground Zero Gymnastics, L.L.C., to provide to the participant, through medical personnel of its choice, customary medical assistance, transportation, and emergency medical services should the gymnast require, such assistance, transportation or services as a result of injury or damage related to participation in the Activity. If the gymnast is a minor and a parent or guardian is not present, efforts will be made to contact a parent or guardian that are reasonable under the circumstances, but treatment will not be withheld if a parent or guardian cannot be reached. 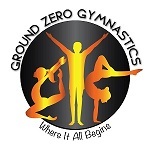 Ground Zero Gymnastics billing is monthly, all advertised prices are based on a 4 week cycle. Prices will vary depending on how many weeks are in the month and holiday gym closures. Statements are not mailed but can be viewed by logging onto the www.groundzerogymnastics.com "Parent Portal". Your account will continue to be billed monthly until a two week written notice of cancellation of classes is received in our office. If you begin classes in the middle of a month your bill will be prorated for the balance of that month. You must have a current credit card on file with Ground Zero Gymnastics, L.L.C. A monthly reoccurring $15.00 "Late Fee" will be assessed on any account not paid by the 7th day of each month, the credit card on file will be charged on the 8th day of the month. In the event that a NSF check, a $50.00 fee will be applied to your account and payment will be due immediately. If session fee and NFS fees are not paid immediately, your credit card on file will be charged. All Families Are Required To Have A Current and Active Credit Card On File.